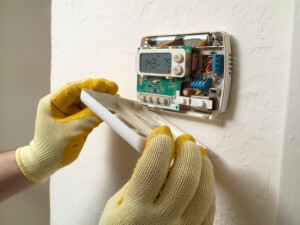 Air Conditioning and HVAC problems seem to pop when you need them the least. You probably change the oil in your car more than once a year. You should also properly maintain your air conditioning system with regular service calls from a licensed technician. Like air filters, dirty coils and fans also reduce airflow through your heating and cooling system. Annual or semi-annual tune-ups (aka, preventative maintenance) can improve your system’s efficiency and prevent costly repairs. Click here to check out some of our specials. We offer emergency service 24 hours / 7 days a week air conditioning (HVAC) repair service. We strive to provide you with same day service. From our planned “Maintenance Agreement” programs to our dependable “emergency service repair”, you can count on Arctic Air Inc. to get the job done! All work is backed with a solid warranty and a personal guarantee of satisfaction. We promise to perform work in a timely and cost effective manner. You can have peace of mind knowing we are always looking out for your best interest. We live here, we are your neighbors and we really do care! Our service repair technicians are experienced, knowledgeable, seasoned professionals. We do not have an apprentice program, so you can rest assured your service technician is not doing any “on the job training” at your expense. This is part of what separates us from our competition. When should you call Arctic Air? • In the spring and fall for your summer and winter tune-ups / preventative maintenance. • Any unfamiliar noises when your HVAC unit kicks on, especially any high pitched noises. • Your air conditioning system is not keeping you comfortable. So whether you need preventative maintenance, a service repair, or a replacement unit, Arctic Air Inc is here to take care of your air conditioning system.